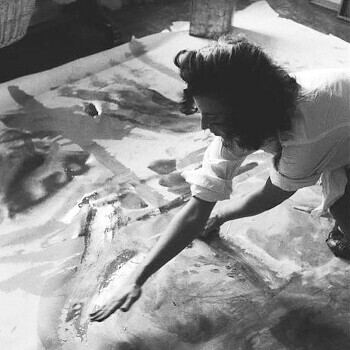 I’ve been thinking about Helen Frankenthaler lately, an American abstract expressionist painter, if you’re not familiar. She’s most famous for Color Field painting characterized by large fields of flat, solid color spread across the canvas creating areas of unbroken surface. I am so taken with her colors and the gesture of her brush strokes and as you can see below, her hand strokes. 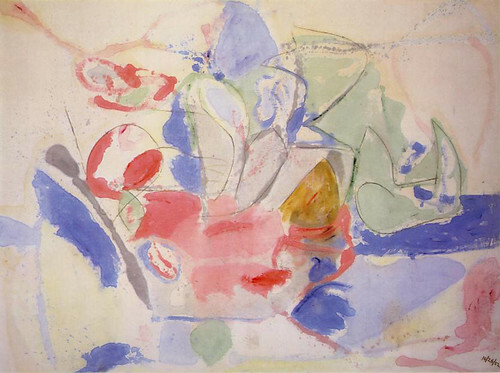 Frankenthaler often painted onto unprimed canvas with oil paints diluted with turpentine allowing for the colors to soak directly into the canvas, creating a translucent effect resembling watercolor. 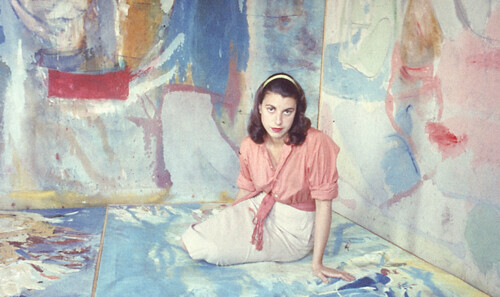 I was wondering if you have a reference for the Frankenthaler quote above? I am trying to source if the quote is in a book, article or a recorded interview, its for an essay i am writing on her. Hi Jodie, I’m unsure of where I found that quote. Sorry!